From September 2018, The Owls will be comprised of Reception and Year One children! The class will be taught by Mrs Tomlinson and Miss Bourne. We will continue to follow a topic and will use quality texts to teach the children through exciting learning opportunities. The Year One children will be able to benefit from the opportunity to consolidate learning through their independent challenge time, alongside their Foundation Stage counterparts. This term the whole school will be joining together for the topic 'Here We Are'. The stimulus for this will be the book Here We Are- Notes for living on planet earth by Oliver Jeffers. In 'The Owl Class' we will spend the first half term focussing on people and the different climates in our world. We will be learning about what makes us unique and embracing our differences, as well as exploring the need to look after our precious planet and all of it's inhabitants. After February half term our focus will move up into space and we will explore the stars and planets of our solar system. 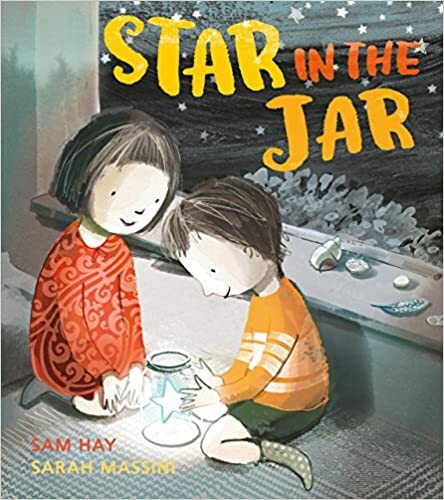 We will be using some beautiful texts to guide us through this topic including Bog Baby, Lost and Found, Star in the Jar, How to Catch a Star, and Up and Down. We have lots of fun learning opportunities and activities planned and are very keen to get started when we return to school after the Christmas holidays! We will keep you updated on our Learning Journey on our website blog, and on the school Facebook page, and our class Twitter page! The Early Years Foundation Stage is a distinct key stage which extends from birth to 5 years old; in our class this pertains to Nursery age children to the end of the Reception year. From September 2012 the revised Early Years Foundation Stage (EYFS) is a statutory education program in all childcare settings. The EYFS is organised into four equally important inter-related principles; a unique child, positive relationships, enabling environments, learning and development. The Year 1 curriculum builds upon and extends the experiences that children have had in Reception. Learning through play will continue to be an important part of the school day, and the children will gradually be eased into more formal learning as the year goes on so that they remain motivated, enthused and eager learners. Year One will be taught as a cohort with their peers from The Deers for RE, PE and French, as well as enjoying a daily story together. Your child will always have a private reading book of their choosing to take home with them each evening. Reading this should be an enjoyable pastime for them to do both individually, and together with you. When you listen to them read please take time to write a comment in their reading record so that we can encourage them in their progression together. PE kits should be in school from Monday to Friday. The children will be taught PE in their Year Groups. On a Wednesday morning all children will recieve coaching from our specialist PE teacher, and Year One will join Miss Dutton for PE on a Monday afternoon as well. PE kits should remain in school throughout the week in case of timetable changes to PE due to weather, or staff absence etc. Any children that do not bring their PE kit on on a regular basis will have a reminder letter sent home, and will be able to use lost property in the meantime so they don't miss out on a valuable and statatory part of the curriculum.